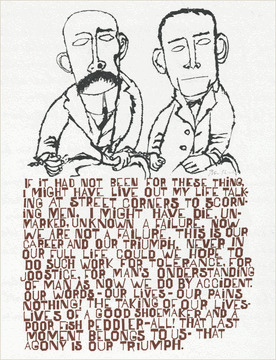 Ben Shahn created this poster to protest the execution of Bartolomeo Vanzetti and Nicolo Sacco who were electrocuted in 1927. He chose as the text a statement Vanzetti made to a reporter shortly before their deaths. 11" X 17"